I’m reading Joe Dominguez’s Your Money or Your Life right now (see an in-depth review of the book at The Simple Dollar), and I am adjusting my thinking about spending AND eating a bit by asking myself some questions from the book before I pull out my wallet or pick up my chopsticks. YMOYL asks you to calculate what each dollar you spend is worth in terms of your life energy. For example, after subtracting job-related expenses (gasoline, work wardrobe, lunches, and such) from my take-home weekly pay and ADDING on time spent on job-related tasks (unpaid overtime, commuting, job research, decompression, etc.) to the 40 hours I am technically working each week, my adjusted take home pay is only $7/hour. This means that each dollar I spend costs me 8 minutes of my life energy (60 min/$7). For my nutrition adaptation of this method, I choose a typical exercise that I perform regularly (preferably one I find unpleasantly strenuous or difficult, like running), and figure out how many minutes of that exercise each calorie that I consume needlessly costs me. Running at 6 mph, for example, burns about 100 calories in ten minutes for me, which makes every 10 cheat calories worth a minute of my workout energy. 1. Do I receive fulfillment and value compared to the life energy spent on this? Are you regularly using and enjoying that boat for which you paid $15,000 (and 2000 life hours), or does it sit in the dock for 350 days a year unused? 2. Is this use of my life energy in line with my values and goals? If your ultimate goal is to open your own business to would help others, does buying yet another gazingus pin to add to the pile of gazingus pins you don’t have time to use really advance you to that goal? 3. How would this expenditure change if I didn’t have to work? Would you still need a new wardrobe every year if you didn’t work in a stodgy office setting. How much would you pay for gasoline if your job was one mile away from your house instead of 30? 1. Do I receive fulfillment and value compared to the life AND workout energy spent on this food item? Restaurant meals and processed foods are often overpriced and skimpy on nutrients, as well as being costly in terms of calories (which equal workout energy and time!) compared to healthier homemade fare. 2. 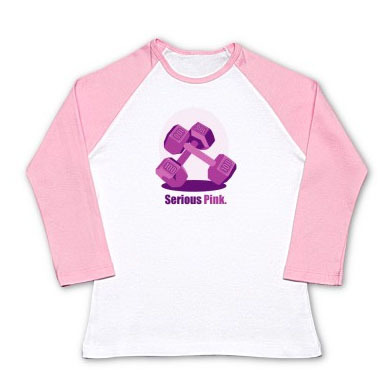 Is this use of my workout energy in line with my fitness and health goals? So you have declared that you want to get your body fat and blood pressure down to a healthy range and bench press 1.5 times your bodyweight. Is that package of Grandma’s chocolate chip cookies in your hand (workout/life energy cost: 45 minutes) the best fuel for your body in this case? 3. How would this expenditure change if I weren’t bored/sad/unprepared/in close proximity to the kitchen/alone/stressed/surrounded by others with poor eating habits/free from accountability? If you were standing in a room with the full cast of 300 in all their abtastic glory, would you still get that Coke and candy bar from the vending machine? So when I was about to click on the “checkout” button for a $30 personal finance software package last week, I asked myself if it was worth almost 4 hours of my life energy. Probably not, especially since I already own Money 2007 and realistically wouldn’t keep TWO money programs up to date. And buying redundant software or stuff I don’t actually need won’t get me to my big goals of paying off my car loan early, putting away $5000 in an emergency fund, and saving for a European vacation with my DH. Likewise, when faced with last night’s fast food chicken dinner at work, I questioned whether I would actually enjoy the mass-produced, deep-fried food as much as my homemade, quasi-gourmet fish taco meal. Was it worth the additional 30 minutes of workout/life energy it would cost me relative to my planned dinner? I also considered whether the Chic-Fil-A platter was taking me toward or away from my goals of lower body fat, lower cholesterol, and accelerated recovery from my cold. Finally, I thought of Monica Brant, a figure model whose physique I think I could attain one day if I really tightened up my diet, and Ilaria Montagnani, the badass instructor of the Forza sword workout DVD, and thought about what choice THEY would make in my situation. Needless to say, the fries and nuggets lost their appeal after that. When the magazines spend so much time focused on the external results and benefits of a healthy diet and exercise–a smaller waist and clothing size, looking better in and out of clothes, legitimate six-pack abs, or whatever–it’s easy to lose track of why we really need to integrate regular workouts and better food choices into our lifestyles. Sure, we give lip service to the goals of improving our health and preventing the diseases of the sedentary and overweight, but most of us who aren’t currently suffering from diabetes, sleep apnea, coronary artery disease, high blood pressure, or joint pain probably don’t think those things could happen to us. I believe that most women who are trying to lose weight are just doing it in hopes of getting into a size 2, 4, or 6 or possibly to be able to announce a socially-acceptable, LOW scale weight when asked, and most men on the diet wagon hopped on to unload a beer belly and see some abs again. There is nothing necessarily wrong with having a superficial goal based on an improvement in your outer appearance, but it may not be enough to get you to your goal when you are slammed at work and with social engagements and the gym is looking SO unappealing, or when your co-worker decides to bring in two flats of doughnuts to celebrate his birthday. If you also happen to be a rather deeper thinker with a social conscience, you might even feel GUILTY for setting purely aesthetic goals or motivations. I know that I cringe with horror at the thought that I might have anything in common with the shallow wenches from high school and today’s celebrity gossip columns whose lives seemed to revolve around looking right instead of doing right. Indeed, I’ve noticed that the times when I find my motivation flagging have coincided with the times when I have nothing but appearance-based goals. When you are already within your acceptable weight and body fat range and everyone around you thinks you are just fine, where is the driving force needed to get through that final stretch? And what about when you HAVE reached your goal and are faced with the realization that you need to keep on eating right and working out for the rest of your life if you want to keep your results? What will motivate you to get up, pull on your workout clothes, and trek to the gym (or your living room) to sweat for 30-60 minutes a day when you no longer have the exciting prospect of a drop in scale weight to bolster your resolve? A recent conversation with my high school friend Heather reminded me of why I really need to stick with the food and exercise outside of the aesthetic side effects. When I was 20, I developed sciatica in my lower back and legs that made walking, bending over, climbing–just about any activity–a painful trial. An MRI revealed that I had a congenital defect in a lower vertebrae that caused it to rub against my sciatic nerve. This was when I was in the worst shape of my life–completely sedentary at college and at my highest weight at nearly 160 lbs. I know this may not sound like that much these days, but when you consider that I come from a long line of lightweight ancestors with small frames, even 30 extra pounds was putting too much stress on my skeleton. And since I never exercised to strengthen my core and back muscles, I made the problem even worse. When almost two months went by without any improvement, I worried that this would be with me forever. I eventually healed myself by becoming more active (joining the military tends to force that upon you whether you want it to or not! ), dropping some of that excess poundage, and getting stronger, but I know that if I ever let myself go, I am more than likely going to see that sciatica come back, and trust me…that is not something I ever want to feel again. I didn’t appreciate my body’s ability to move and bend and perform even the most basic actions until I injured something as pivotal to all of these things as my back. I’ve had my first light taste of chronic back pain already; I’d like to think that I am smart enough to learn from my experience and take steps to prevent a more severe case before it’s too late. Dig around your medical history and look through your family tree. Chances are that you will find at least one severe health issue in there that could have been prevented with regular exercise and a healthy diet. Then factor in the money needed to treat those ailments and the cost in time and quality of life and add those to your motivation tank the next time you feel like you are running out of fuel. I’ve got sciatica, lung cancer, strokes, diabetes, post-menopausal weight gain, and osteoporosis in my lineage–all of them preventable if I just stick with a fit lifestyle. How about you? After some false starts and delays, I have finally begun the six month Turbulence Training Bodyweight workout program. I am committing to at least three months of the program, which should get me through three four-week “phases”. I’m sure I will have a few moments of weakness along the way and periodically cave in to the temptation to lift some iron, but I will only do that on non-TTBW days and always stick to the baseline bodyweight program on M/W/F. I will also be working on my (currently pathetic) flexibility and (even more pathetic) swimming skills during this time and get back into running two days a week in preparation for the winter 5k race season. Mind you, I don’t have any thought of placing in any races, but I would like to get to the point where finishing in under 27 minutes is more of a jog in the park than a lung-busting all-out effort. – And of course I will still avoid any foods that I do not find truly tasty! See? I really did get married! In honor of the recent DVD release of my favorite piece of cinematic eye candy and workout inspiration this year, Frank Miller’s 300, here’s another bodyweight workout sequence by Craig Ballantyne based on the infamous 300 rep workout session performed as a timed fitness test by the cast of the movie “300”. The modified workouts aren’t meant to be performed every day, but they can be used periodically to test your progress or even (I’ve done this before) as an alternative to regular monotonous cardio. Craig also created a monthly Turbulence Training manual for May 2007 based on the 300 workout. The manual, like other TT monthly programs, includes a 4-week training program that integrates intense, total body resistance training (using weights in this case) with efficient cardio intervals. Unlike the other manuals, however, this one leads up to a 300 rep fitness challenge at the end of the month. Unfortunately, it is currently available only to Platinum level members of the TTmembers.com site. For free, weighted versions of the 300 workout, check out Josh Hillis’s posts on his modified 300 workout sets for men and women. These are scaled down versions that use less weight and/or exercise substitutions so those of us who haven’t been training like maniacs 4-7 hours a day, five days a week for 12 weeks straight won’t give ourselves hernias, LOL. I recommend giving the bodyweight versions below a try before attempting any of the weighted workouts, especially if you haven’t been training for a while or are not sure how to perform the listed exercises with proper form. The 300 movie workout is the talk of the fitness world. It’s helped actors chisel Greek Statue bodies while causing weight loss and calorie burning for the rest of us. The 300 workout is legendary, having been featured in Men’s Health and on ESPN. Everyone’s looking for the 300 workout on the ‘Net. So I made mini-version of the workout for the average guy and gal, see those below. Although eventually, you’ll slow down. I tried this workout last week and managed to get ‘er done in only 19 minutes and 7 seconds. But what about a 300 workout for you? exercises can be subbed in, and we can drop the number of reps down to 100, 150, or 200 – still making for a total body challenge. Add in 50 rope skips for 200 total repetitions – or 150 skips for a full 300. Don’t train like this everyday. Just use one of these workouts once every other month as an extra challenge. Training workouts for men and women. You’ll boost your metabolism, burn fat, and maximize your fitness so that you’ll be ready for your very own 300 test day. Craig Ballantyne is a Certified Strength & Conditioning Specialist and writes for Men’s Health, Men’s Fitness, Maximum Fitness, Muscle and Fitness Hers, and Oxygen magazines. His trademarked Turbulence Training fat loss workouts have been featured multiple times in Menâ€™s Fitness and Maximum Fitness magazines, and have helped thousands of men and women around the world lose fat, gain muscle, and get lean in less than 45 minutes three times per week. For more information on the Turbulence Training workouts that will help you burn fat without long, slow cardio sessions or fancy equipment, visit Turbulence Training for Fat Loss. If you are one of those folks like me who loathe cardio but love strength training, consider switching to bodyweight circuits for your fat burning needs. Here’s a great rule of thumb article by Craig Ballantyne on how to come up with your own bodyweight interval circuit. As an added plus, bodyweight circuits can be performed in your living room with no equipment for free! You don’t even need running shoes. 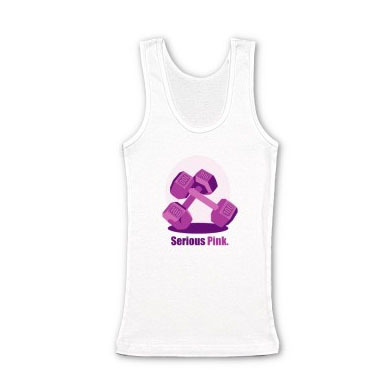 FitRene is starting up a new 4 week challenge at Pinkdumbbells.com that will focus on nutrition. Have you slipped back into some bad habits during this barbecue season? Well, you aren’t the only one! Come join us at PDB for the You Are What You Eat challenge starting Monday, August 13 and renew your motivation! 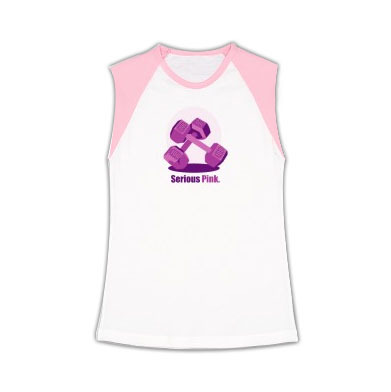 I’m giving away a new PinkDumbbells “Serious Pink” t-shirt that I will refashion into the winner’s choice of tank top, contrast shoulder (black or pink) tank top, or contrast 3/4 sleeve baseball top to the participant showing the most improvement based on stats and photos at the end of the 4 weeks. The GrrlAthlete.com crew have come up with another efficient total body workout program called 6-Minute Circuits that is designed to be performed in under one hour, requires only dumbbells, and de-emphasizes the use of machines and running for cardio. Performed at the correct degree of intensity, the exercises in each circuit should keep your heart rate elevated throughout the entire workout. The full e-book is $39.95 and includes 16 total circuits, but there is a free sample beginner’s workout from the book available for download now. I haven’t tried it myself yet, but I will be giving it a go tonight. Any workout that doesn’t require me to hit the treadmill or sidewalks is worth a shot, eh? I’ll let you know what I think tomorrow!